BOSTON — Today, Governor Charlie Baker released a detailed report compiled by the MBTA special panel and outlined a plan of action to reform and improve the MBTA. The panel’s recommendations include creating a five-member Fiscal and Management Control Board, as well as the creation of one, five and 20 year spending plans after the group uncovered massive structural and management failures that are on pace to bankrupt the system if left unchecked. On February 20th, the Baker Administration announced a team of national leaders in transportation, economic development and municipal planning charged with performing an in-depth diagnostic review of the MBTA’s core functions. The panel met 18 times over six weeks to review past studies, with MBTA staff, MassDOT leadership, transit advocates and labor representatives in order to benchmark the MBTA against peer agencies and analyze performance through objective analysis. The panel synthesized recent MBTA studies, conducted a performance review, examined the MBTA’s core functions and compared results with other transit operations to assess the status of the system’s governance, finances, and capital planning. Unsustainable Operating Budget: The MBTA would be insolvent if not for continuing and increasing subsidies due to a severe imbalance between costs and revenue. Chronic Capital Underinvestment: The MBTA has not spent the capital funds already available to it, resulting in chronic underinvestment in the aging fleet and infrastructure. Bottleneck Project Delivery: The MBTA struggles to get projects completed. Ineffective Workplace Practices: The MBTA is ineffective at managing work due to weak workplace practices and chronic absenteeism. Shortsighted Expansion Program: MassDOT and the MBTA lack a long-range expansion strategy shaped around the physical and financial capacity of the MBTA and future needs for regional transit. Organizational Instability: The MBTA is hampered by frequent leadership changes, vacancies, and looming attrition. Lack of Customer Focus: The MBTA is not organized to operate as a customer-oriented business. Flawed Contracting Process: The MBTA’s procurement and contract management is inefficient. Lack of Accountability: The Commonwealth provides more than half of the MBTA operating budget and additional funding for capital projects, but the MBTA is not accountable to the Governor or the Legislature. 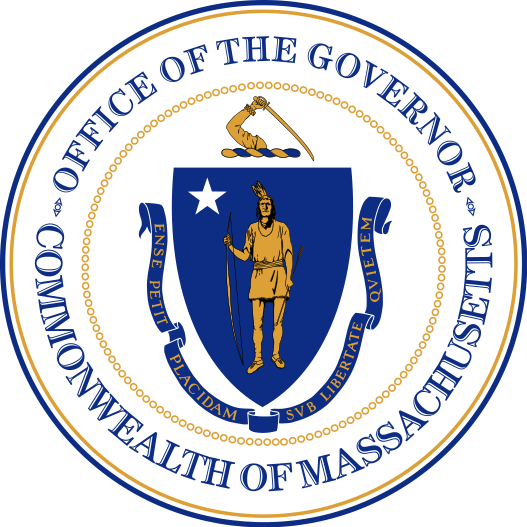 New Fiscal and Management Oversight: Replace the current MassDOT Board with a five-member Fiscal and Management Control Board, with three members appointed by the Governor and one each nominated by the Speaker of the House and the Senate President. The Governor appoints a Chief Administrative Officer to lead the T, who reports to the Control Board. Capture Revenue Opportunities: Significantly increase MBTA self-generated revenue from fares, advertising and real estate, as well as through grants and federal programs. Budget Firewall: Build a firewall between the operating and capital budgets - construct one, five and twenty year plans for each. Capital Planning: Create a dedicated state-funded capital program to modernize vehicles and infrastructure and pause construction spending for system expansion (except for federally funded projects) until such a plan is in place. Customer Service: Create customer-oriented performance management and strengthen communications. Update System Routes: Rationalize and reform system routes, including buses. The MBTA special panel is co-chaired by Katie Lapp, Executive Vice President for Harvard University and former Executive Director and CEO for the New York Metropolitan Transportation Authority, and Brian McMorrow of Massport, and includes Jane Garvey, a national leader in transportation policy, Jose A. Gomez-Ibanez, the Derek C. Bok Professor of Urban Planning and Public Policy at Harvard University, Joseph Sullivan, the Mayor of Braintree and former Chair of the Joint House-Senate Transportation Committee, and Robert Gittens, the Vice President of Public Affairs at Northeastern University.